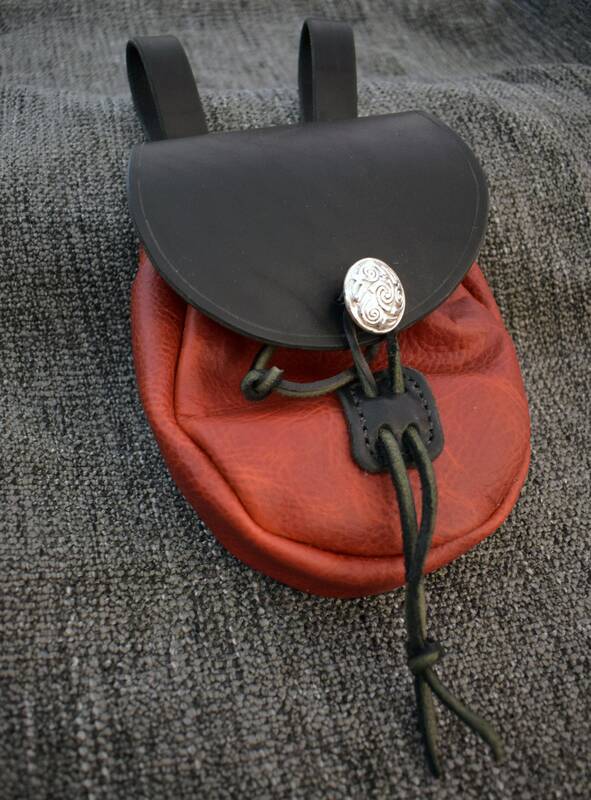 This is a handmade leather sporran style belt pouch. 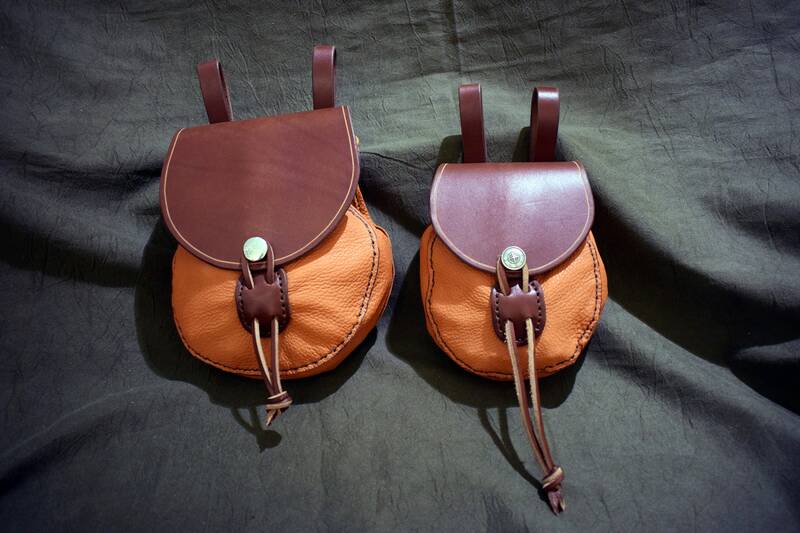 The main body of each pouch is made out of 2-3 ounce deerskin, and the flap is made out of 8-10 ounce latigo cowhide with latigo lace to cinch the main body closed and loop the flap closed via your choice of button. 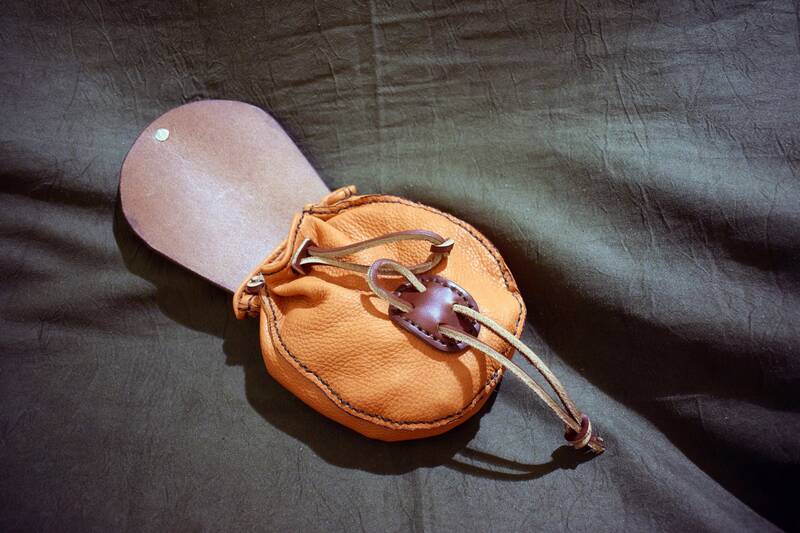 As shown above, you have the option of 30 different buttons for the pouch. Please include the number of the button you'd like in the comments when you order. 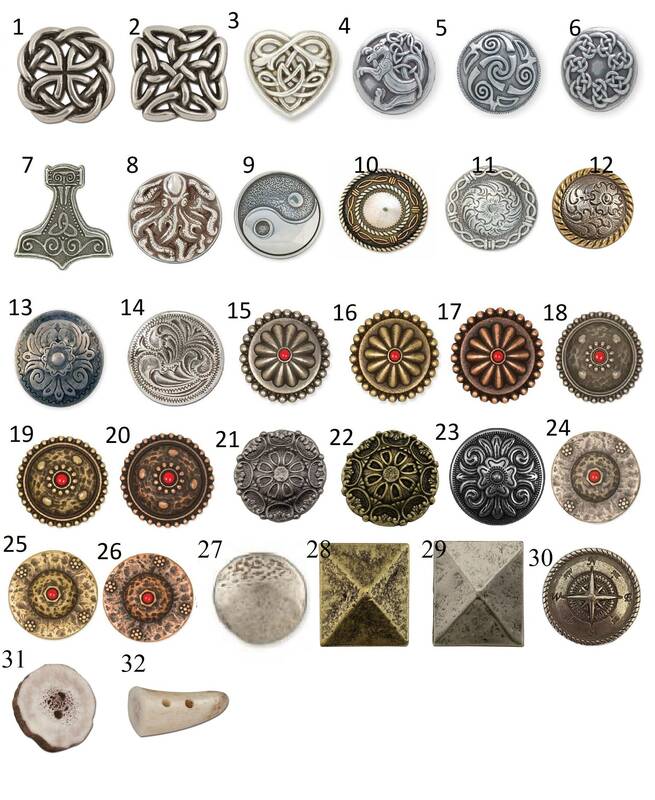 If no number is included, A random button will be chosen. 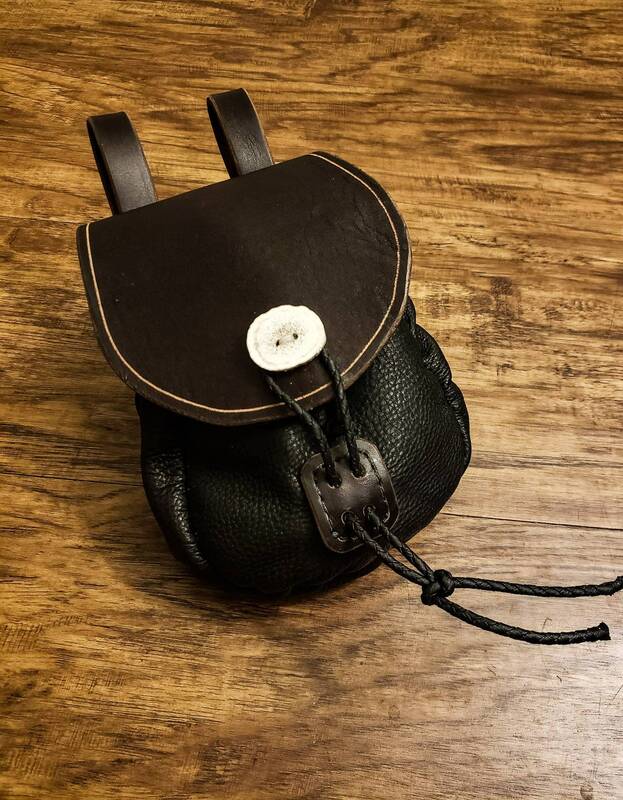 The pouch is hung from your belt via two hanging straps, or via two integrated belt loops if you'd rather carry the pouch higher up. 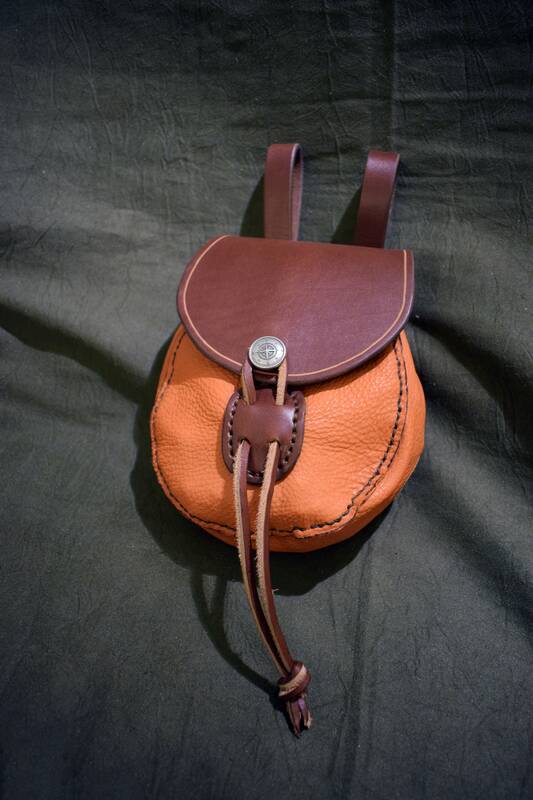 This is the "Small" option of pouches, measuring 8" deep and 5" wide. For the small sized pouch, check out my other listing. 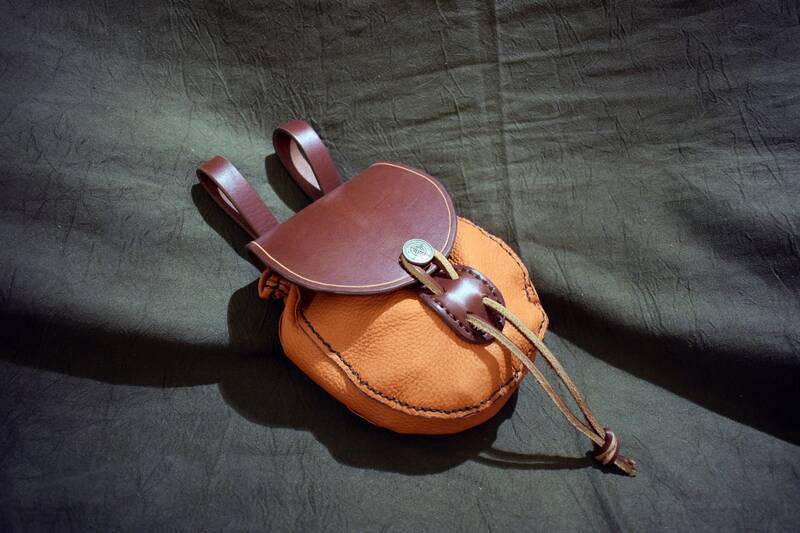 The ample flap is perfect for tooling designs, message me for details. As always, customization is available, message me if you have any questions/ideas.